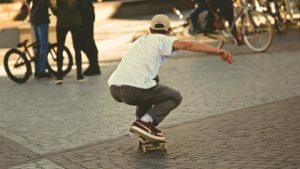 On May 31, a 28-year-old man was taken to a hospital after being hit by a vehicle while skateboarding. Police received word of the accident and arrived at the scene near Pocasset Street and Broadway. The victim has been identified as Jared Almond. He was unable to stop his skateboard as he approached the intersection and collided with a motor vehicle. He sustained injuries, but they did not appear to be life-threatening. The accident was reported just before 9 in the morning, and police cleared the scene within half an hour. Pedestrian accident can be quite serious. Thankfully, Jared Almond appears to not have suffered severe injuries, and we wish him a speedy recovery. Some pedestrian accidents can be much more dire. Drivers must remember to remain conscious of their surroundings, and pedestrians must be careful, too. We must all do our part to keep our roads safe for all. At the Law Offices of Jeffrey S. Glassman, we are involved members of the community. We use these roads each day, and we see the impacts pedestrian accidents can have on victims. We urge all drivers to remember to drive safely and attentively. However, we know accidents can happen to even cautious drivers, so we are also here to help victims get help so they can focus on healing.